To add another touch of personalization to your customized chopsticks, you can add your own font, or choose one of ours. 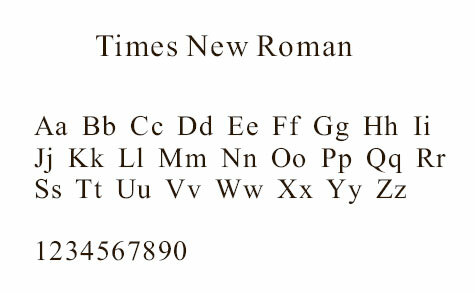 We have seven popular fonts for you to choose from. 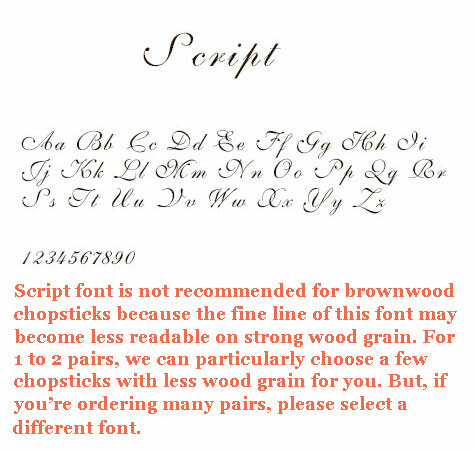 Or, if you prefer, your engraved chopsticks can be personalized with your own font that you email to us. 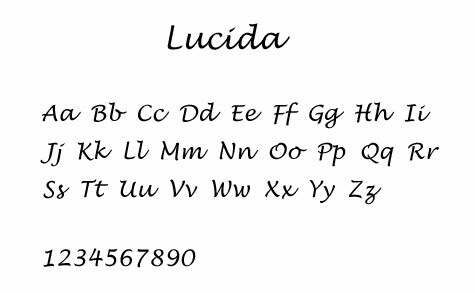 Upon request, we can prepare and email a font preview file to you before our engraving starts. What you need to do is simply state your request in the Comments/Instructions box when ordering your chopsticks online. The Comments/Instructions box is in step 4 of the checkout process. 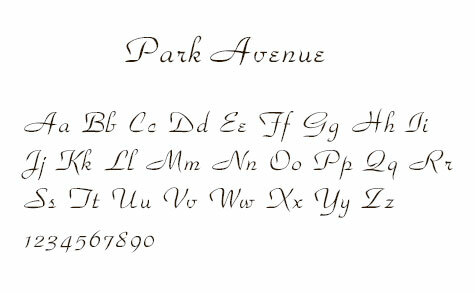 Oftentimes, we match fonts to wedding invitations or company logos. 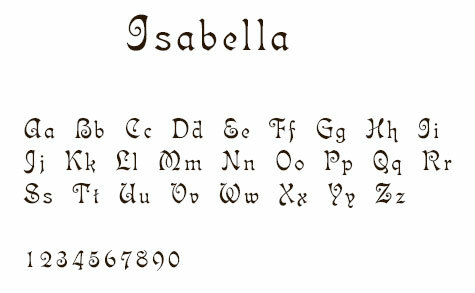 As a matter of facts, we have thousands of fonts in our database. If you're feeling indecisive or would like to see the best selections for your personalized text, please do not hesitate to email us. We'll find you the nicest fonts! That way, you can also view and choose the very best! If we don't have your desired font listed, you can select "Other" when placing your order and email us your font file separately. 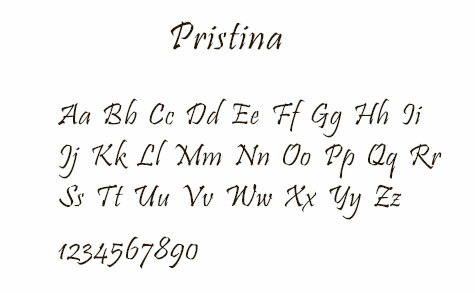 If you can produce the font on your computer, you probably have the font file stored somewhere in your computer. Usually, it's in C:\windows\fonts. 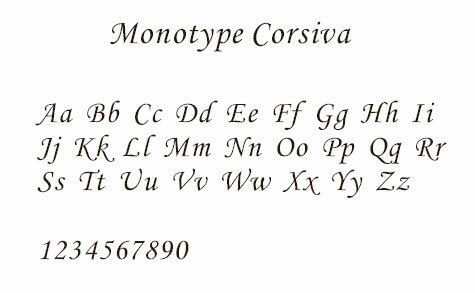 Best is to copy the font file onto your desktop before attaching your copy over to us.